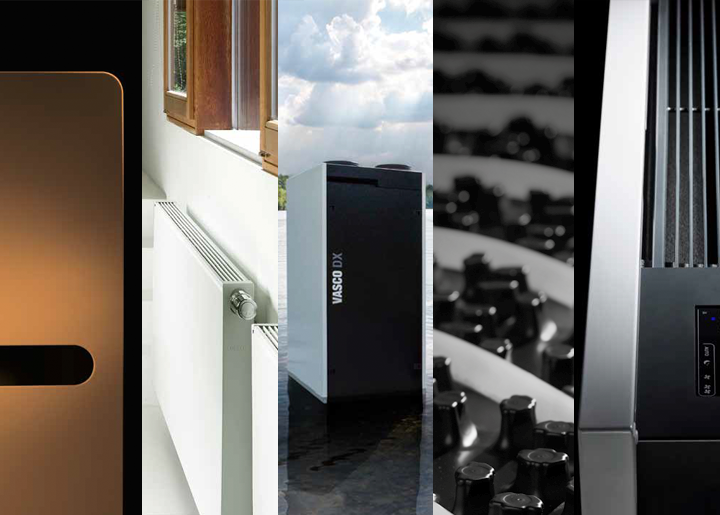 More than ever before, customers need a total solution for their heating, ventilation and cooling requirements. Healthy indoor air is a crucial element in energy performance regulations, and this will only become more important in the years to come. That is why VASCO GROUP is consciously taking the lead in the development of energy-efficient and silent ventilation solutions. That way our customers are sure of an optimal indoor climate. And you only have one point of contact, for radiators, ventilation, underfloor heating and cooling.